Jack the Ripper is exhumed yet again. They call themselves Ripperologists, that single-minded band fixated on the paradigmatic serial killer who lurked in fin de siècle London fogs, perpetrating abominations on five unfortunate females and provoking a fictional flood that shows no sign of abating. Old pro Gardner (Angels Dining at the Ritz, 2004, etc.) chooses not to play the customary name game. Instead of brainstorming the Ripper’s identity, he allows his skeptical gaze to land on Mary Jane Kelly, the fifth victim, and the suspicious circumstances surrounding her identity. Gardner starts with Phillip Tarpin, a rising young London book editor who’s just been tapped for a fast-track job in New York. His major problem, he thinks, will be to convince his girlfriend to fold her London literary agency, hop the pond along with him, and collect her percentages American style. But geography and romance are less important than the unpredictable and violent things beginning to happen to him and those he loves. When his mother suddenly dies, he learns a long-hidden secret concerning his paternity that gives him his first insight into why his uneventful life is so drenched in Sturm und Drang. Enemies are everywhere. Irish terrorists, for instance, regard him with hatred. Even the British secret service has taken a view of him that seems ambiguous, to say the least. And then, of course, there’s the Mary Kelly/Jack the Ripper connection. Is its link to his equally sanguinary present really as far-fetched as it first appeared? No, decides Phillip, squelching his earlier critical disbelief. Readers may not be so inclined. 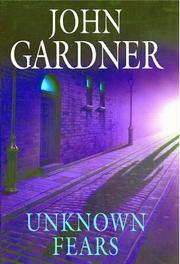 The leaky plot and sketchy characters put this one far below veteran Gardner’s best. Originally published in the UK in 1992, it fails to win one for the Ripper.